The east end of the city/ on the California Nevada state line right next to the town of Stateline/ Nevada/ is mainly geared towards tourism/ with Tshirt shops/ restaurants/ hotels/ and Heavenly Mountain Resort with the Nevada casinos just across the state line in Stateline/ Nevada. There are a vast amount of things to do with Lake Tahoe for water sports or Sierra Mountains for skiing. Come and enjoy the best of all worlds in South Lake Tahoe. Welcome to the Tea Garden Lodge/ Lake Tahoe. The Tea Garden Lodge is located in the middle of the South Lake Tahoe at the front steps of the Casinos and Ski Resorts/ and a two minute walk to the shopping center. The Tea Garden Lodge is a family business dedicated to make your stay nice and relaxing. Tea Garden Lodge Hotel Accommodations Tea Garden Lodge offers a variety of hotel guestrooms/ from traditional with two queen beds/ to a King room with a cozy fireplace/ also offering a three bed room to accommodate up to 5 guests of any ages. Tea Garden Lodge Packages Tea Garden Lodge also features a selection of hotel packages that will enhance a getaway to Lake Tahoe. From Ski Tickets/ Massages at the Casino to Cruise packages/ the Tea Garden Lodge has something for everyone. Hotels/ Restaurants/ and Attractions in Lake Tahoe The Tea Garden Lodge Hotel offers guests a direct connection to Lake Tahoe Attractions/ and long standing partnerships with many businesses all centrally located in the Lake Tahoe tourist district. Tea Garden offers an array of amenities to make our guests comfortable during their stay. 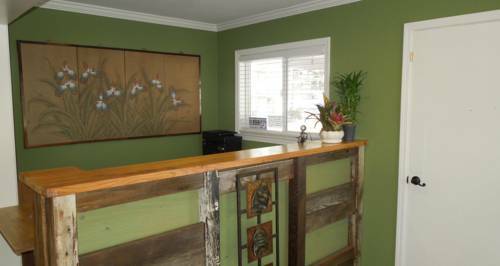 We offer WiFi/ newly updated rooms/ Fireplace in some rooms/ coffee makers/ iron and ironing boards/ flat screen TVs in all rooms/ hair dryers and bathroom amenities/ alarm clock/ microwaves/ and some pet friendly rooms. Tea Garden Lodge also features a selection of hotel packages that will enhance a getaway to Lake Tahoe. From Ski tickets/ massages ate the casinos/ cruise packages and more. Tea Garden Lodge offers guests direct connection to Lake Tahoe area attractions and long standing partnerships with many businesses all centrally located in the South Lake Tahoe tourist district.